The Cambridges and the Sussexes, nicknamed the royal “Fab Four,” joined together Tuesday to mark a milestone for Prince Charles. Prince William and Kate , the Duke and Duchess of Cambridge, and Prince Harry and Meghan, the Duke and Duchess of Sussex, attended a reception at Buckingham Palace to mark the upcoming 50th anniversary of Prince Charles’ investiture as the Prince of Wales. (Dominic Lipinski via Reuters) Britain's Meghan, Duchess of Sussex and Prince Harry the Duke of Sussex are seen at a reception to mark the fiftieth anniversary of the investiture of the Prince of Wales at Buckingham Palace in London, March 5, 2019. Queen Elizabeth II hosted the reception for her oldest son, the longest-serving Prince of Wales and heir to the throne. It was also attended by Charles’ wife, Camilla, Duchess of Cornwall, and other members of the royal family and dignitaries who marked Charles’ 50 years of royal service. The mom of three stunned during a night out Wednesday. Meghan, who is due with her first child this spring, wore a gold and silver brocade dress accessorized with a chic white coat. She also spoke about the baby, admitting, she looks "a bit different than when I saw you last." When a well wisher asked how she was doing, adding that he is sure everyone is asking her, Meghan gushed, "It's actually very sweet." "What a very nurturing thing to ask," she added. "We're nearly there!" (Dominic Lipinski via Getty Images) Meghan, Duchess of Sussex attends a reception to mark the fiftieth anniversary of the investiture of the Prince of Wales at Buckingham Palace, March 5, 2019, in London. Kate accessorized her mint green dress with light-colored heels and a small handbag. 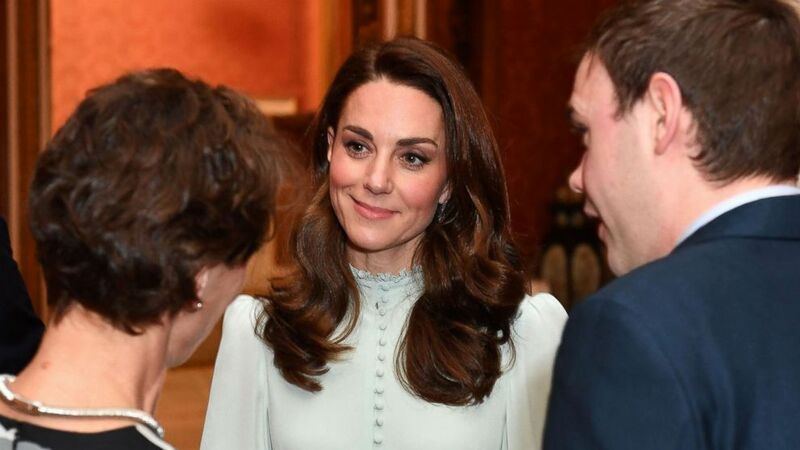 (Dominic Lipinski/AFP/Getty Images) Catherine, Duchess of Cambridge, talks with guests as she attends a reception to mark the 50th Anniversary of the investiture of The Prince of Wales at Buckingham Palace in London, March 5, 2019. Harry and Meghan were last seen publicly with William and Kate, the parents of three children, on Christmas Day. The two royal couples have both just recently completed official royal tours. 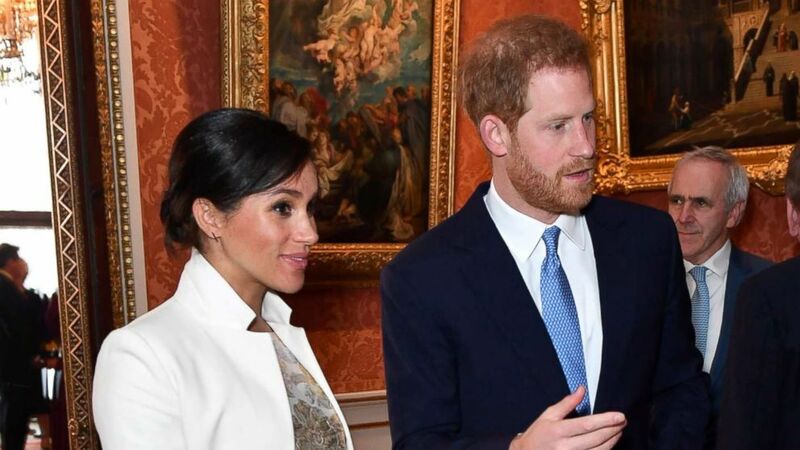 Harry and Meghan last week wrapped up a three-day tour of Morocco that focused on empowering youth and women. William and Kate met with students, played soccer and archery outside and acted as bartenders at a local music venue during a visit last week to Northern Ireland.